From what I have seen so far, bright lips seemed to be HUGE this coming Spring. 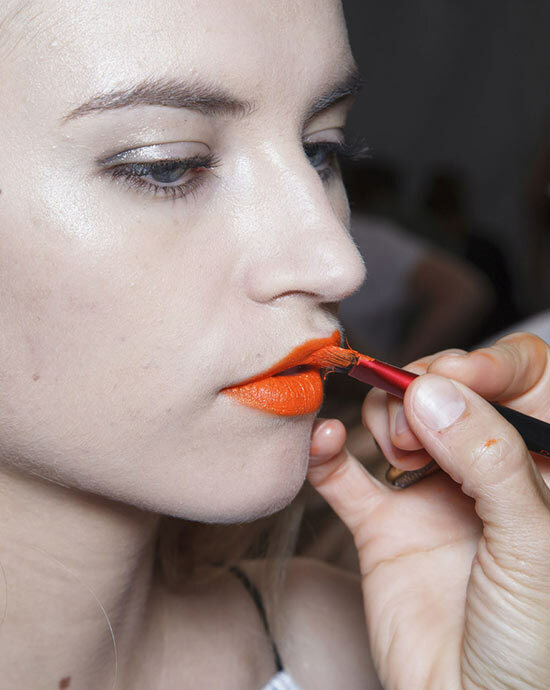 And at Rag & Bone Spring/Summer 2014, Revlon Global Artistic Director Gucci Westman paired a bold orange lip with clean luminous skin, a subtle eye and strong brows. Step 1. Apply Redken Satinwear 02 Prepping Blow-dry Lotion to damp hair from root to ends. Step 2. 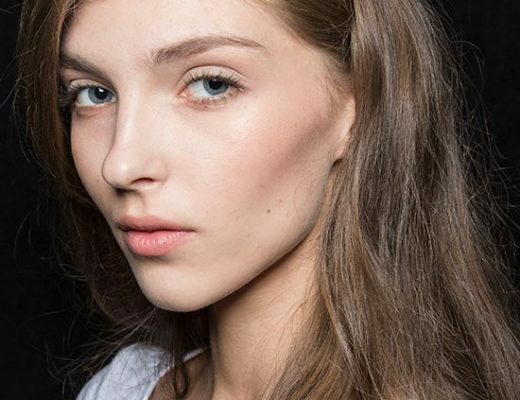 Create a clean middle part. Step 3. Blow-dry hair straight until reaching mid-lengths. Step 4. Spray mid-lengths and ends with a little water, adding more Satinwear 02 Prepping Blow-dry Lotion lotion if needed. Allow hair to air-dry for natural texture. Step 5. Apply Redken Forceful 23 Super-strength Finishing Spray to the straight part to create a flat, clean, and crisp look on top, making sure to eliminate any flyaways. Step 6. Use a dryer on top of head to set the hairspray and add shine. 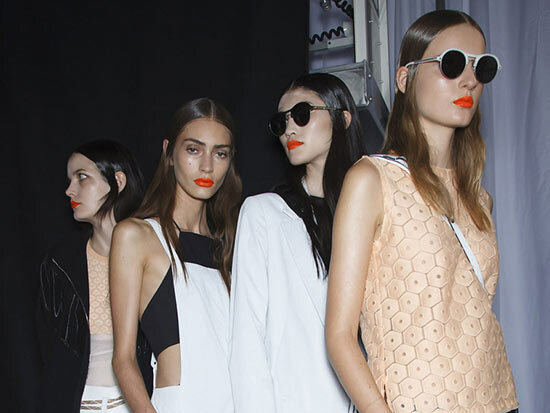 Revlon Spring/Summer 2014 features a bold, matte orange lip with luminous, dewy, skin as its canvas. It is classy, yet, just edgy enough.It is unexpectedly striking.The quietly subdued, smokey eye, balanced with a strong brow give this look it’s “Cool”. This color story is great to wear for a night out, with basics, neutrals and even to make your jeans say “Yes, I’m here; Happy to see You.” Congratulations to Gucci Westman again!